Kids are always welcomed to Olympic Palace Hotel! Luxury Spa Hotel Olympic Palace with its location, quality service and convenience is the perfect place for a family vacation. Modernly equipped kids’ club Leopold, beneficial salt chamber, swimming pool with Jacuzzi and child’s treatments under experienced control of pediatrician will provide high-quality rest for all kids – from small ones to teenagers. 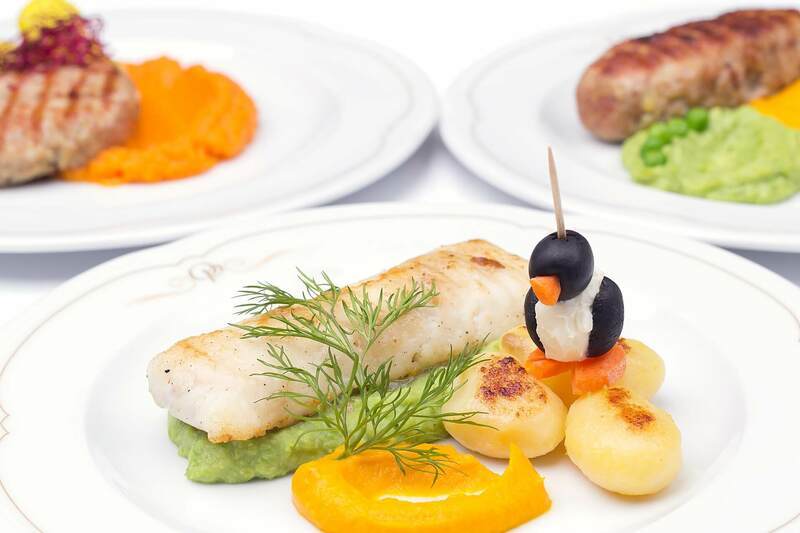 The restaurant offers a children’s buffet, which is part of breakfast, lunch and dinner and it is carefully prepared by our chef in collaboration with the dietitian. Luxury Spa Hotel Olympic Palace has become famous not only for services at a high level, pleasant staff, but also thanks its approach to children. Visit us and check it all by yourselves! The ideal size of the hotel allows a personal approach to each guest, including the smallest ones on which we all depend so much. In our hotel children are at the constant attention and care, so the stay is for the whole family very friendly and easy. Our accommodation offers you several types of rooms, including interconnected. Children and even parents can enjoy their privacy, also have a lot of space for fun, games and relaxation. The smallest guests will experience a luxury stay right from arrival. We will welcome you with a welcome drink and sweet treat. 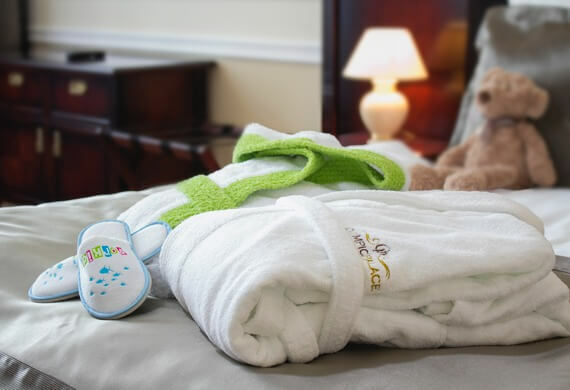 In the hotel room kids will find all they may need – baby bath, potty or toilet reduction, steps to the sink. 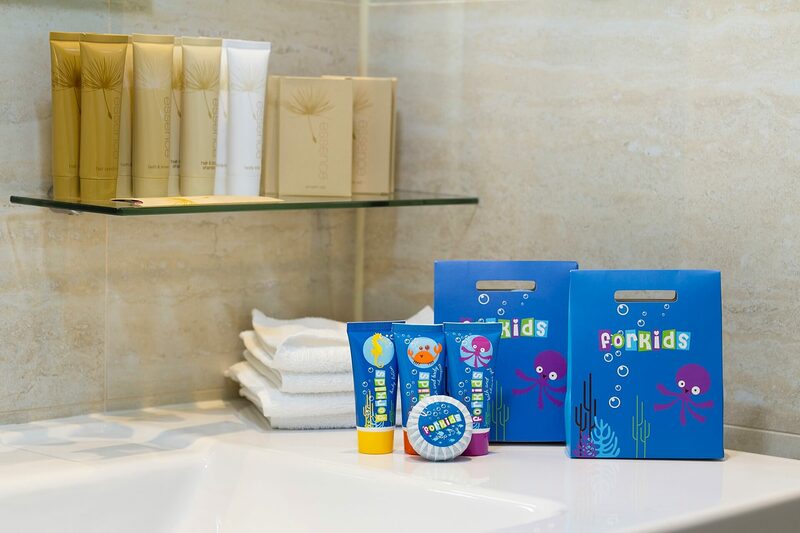 A children’s cosmetics with motifs of marine life, soft bathrobe, baby slippers with a cheerful pictures and bed linens with child´s motives. 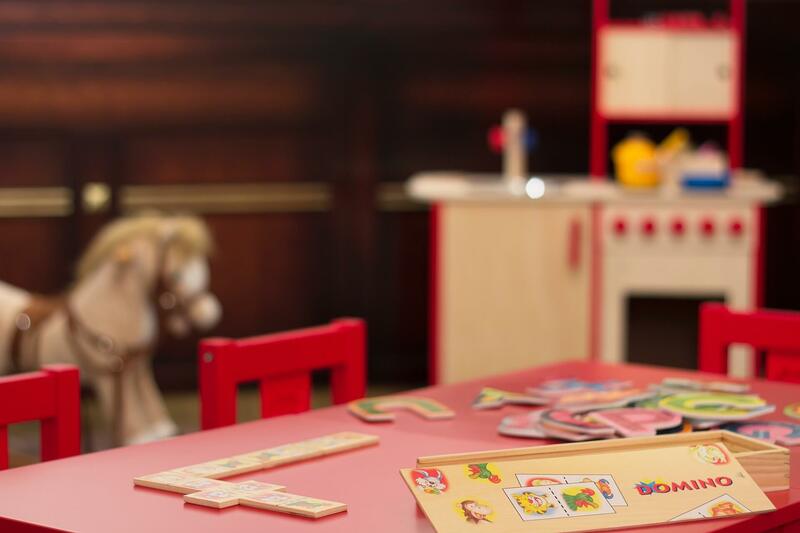 In the hotel works a pediatrician, who can prepare a medical or relaxation plan for your child on the spot. The most popular treatment for children is salt cave right in heart of Apollo wellness, where they can inhale wonderful sea air, salt and minerals are good for their immunity and during the process they can build a sand castle with buckets and shovels. 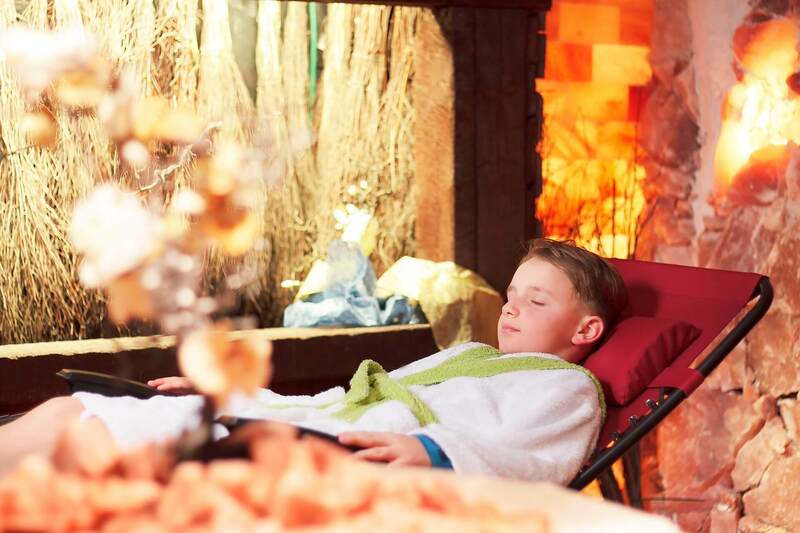 Spa Hera only under expert supervision offers a wide range of health and relaxation treatments for children. For the most demanding guests we offer strawberry program Juno with aromatic bath and massage. Trust our doctor, your children will not get bored and together you will enjoy the beneficial spa stay. Great mood and happiness of the whole family are guaranteed! Hera Spa only under expert supervision offers a wide range of health and relaxation treatments for children. 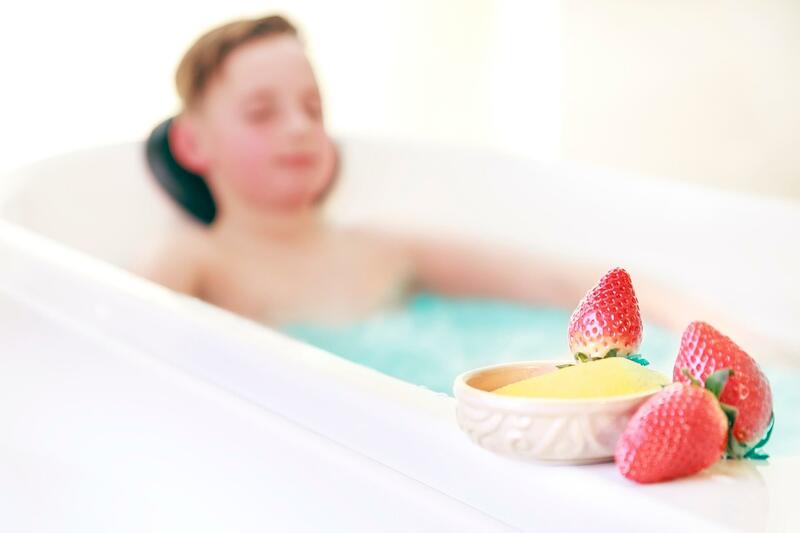 For the most demanding guests we offer strawberry program Juno with aromatic bath and massage. Trust our doctor, your children will not get bored and together you will enjoy the beneficial spa stay. Great mood and happiness of the whole family are guaranteed! Do you have a little gourmand? We know how to deal with it. Each day during breakfast, lunch and dinner hotel offers a children’s buffet with healthy goodies. 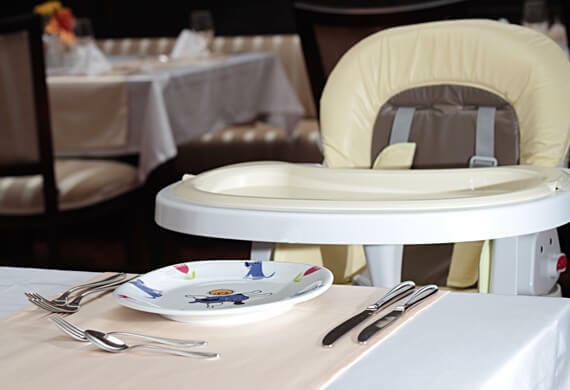 For breakfast we serve a large selection of children’s favorite delicatessen – porridge, juices, dried fruits, baby cereal with milk and pastries. Also at lunch and dinner, our chef manage children’s menu, kid’s favorite flavors with combination of the principles of healthy food. If you couldn’t find anything from our rich breakfast what would your children find delicious, we will prepare food for them according to individual wishes. With the help of our nutritionist we can prepare for your child customized eating plan. Children’s tastes are unusual, and we respect them like the children’s comfort and safety. 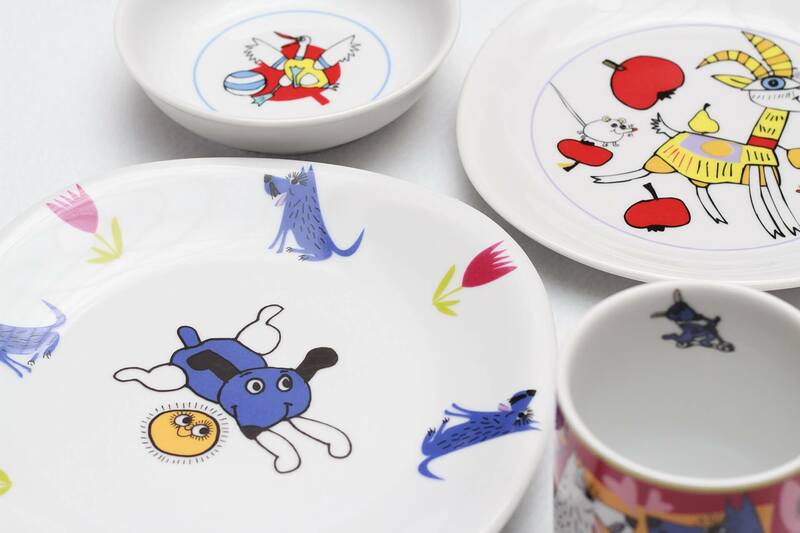 We have high kids chairs, dishes with funny pictures and silverware. In our hotel, your kids also can have fun. 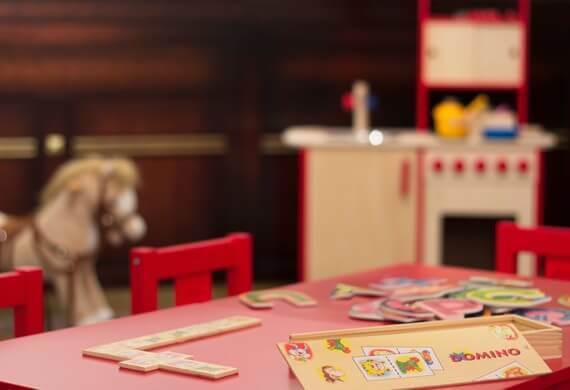 They won’t be bored in the kids club, where for small girls waiting a wooden kitchen with many amenities and for small builders Lego and Duplo. The older ones and their parents can have a lot of fun with the X Box 360. They can choose from variety of games, logic or sport that you can enjoy thanks to Kinect motion like true athletes – in motion..
For comfortable walking without restrictions we have available at the reception deep and sporty stroller, with which your children will be able to enjoy walks through the surrounding spa trail with you. 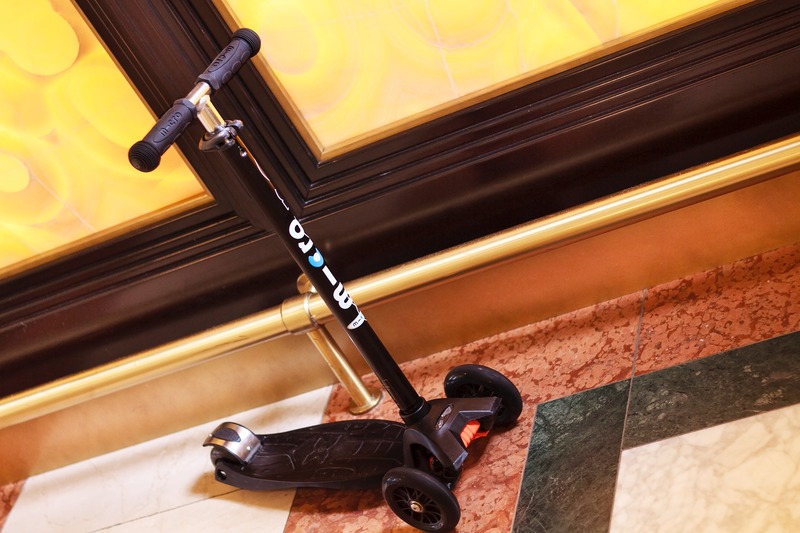 For young athletes, we have prepared the reception scooters of various colors and sizes, with which they can explore the surroundings of the hotel. In our hotel your kids also can have fun. They won’t be bored in the kids club, where for small girls waiting a wooden kitchen with many amenities and for small builders Lego and Duplo. The older ones and their parents can have a lot of fun with the X Box 360. They can choose from variety of games, logic or sport that you can enjoy thanks to Kinect motion like true athletes – in motion.